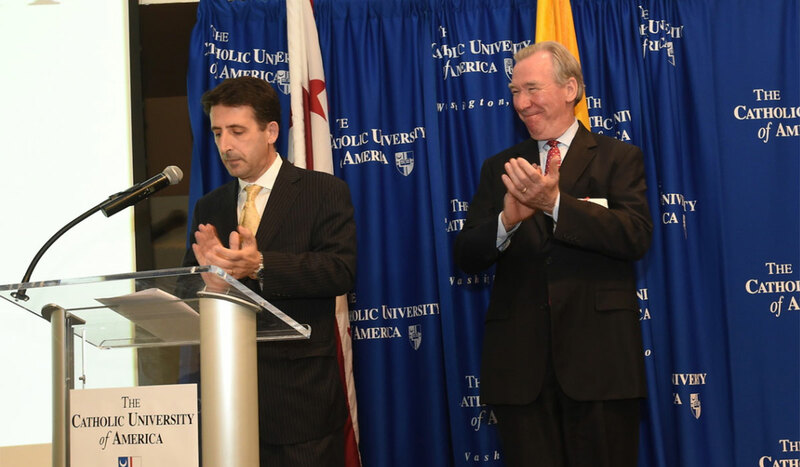 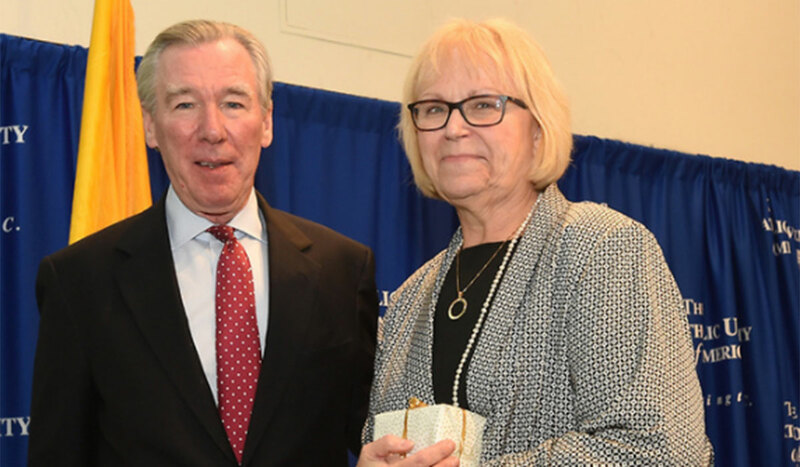 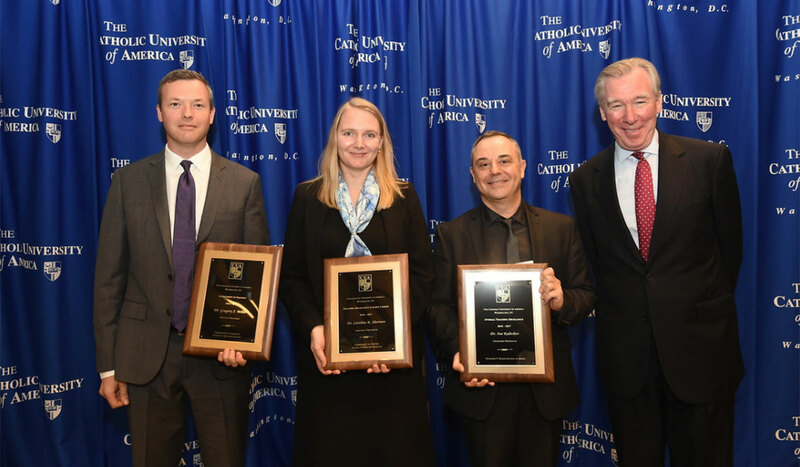 Three professors at The Catholic University of America were honored for their teaching achievements during this year’s Spring Faculty Luncheon held in the Edward J. Pryzbyla University Center on May 2. 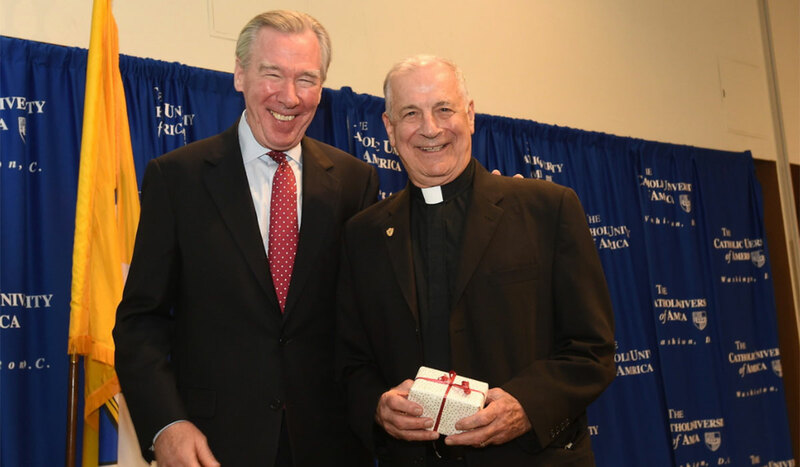 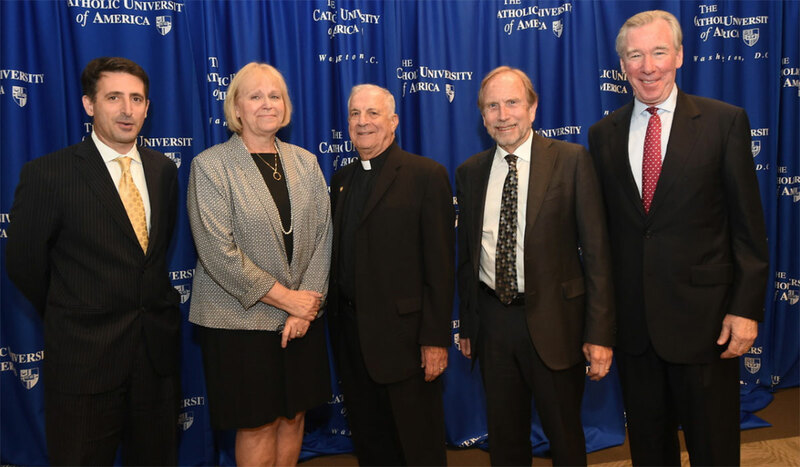 Also recognized at the event were six retiring faculty members from the schools of law, canon law, and theology and religious studies. 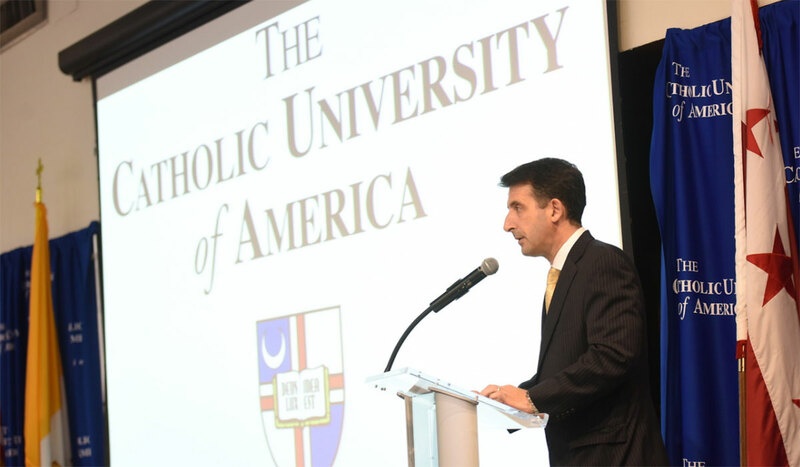 University Provost Andrew Abela spoke at the luncheon, thanking all faculty members for their service and sharing highlights of the honorees’ academic careers. 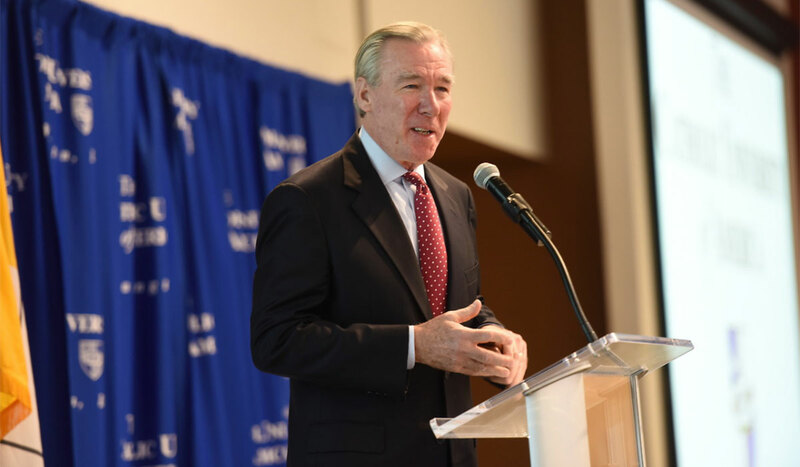 University President John Garvey also delivered remarks. 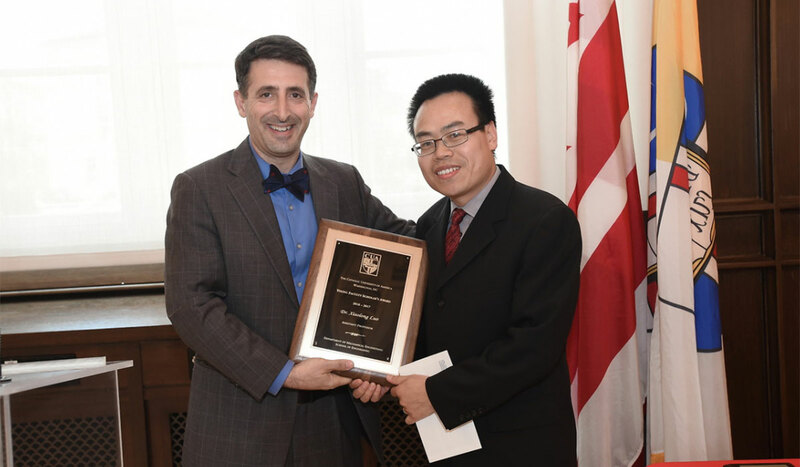 Attendees watched a video in which students thanked the faculty for their teaching and mentoring. 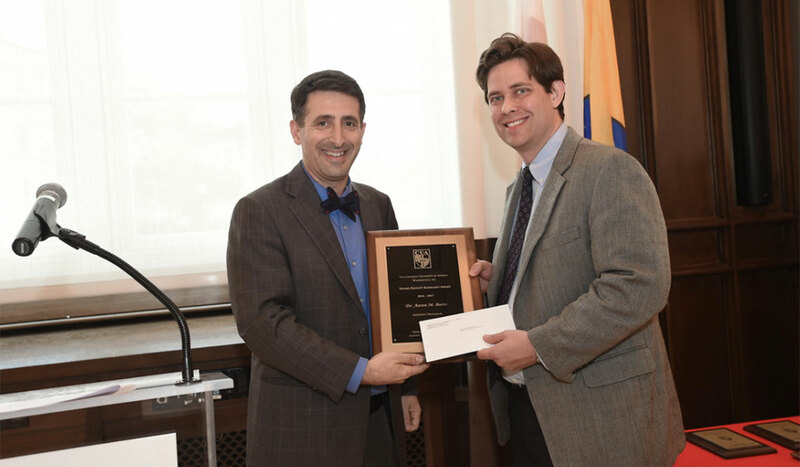 Gregory Miller, associate professor in the Department of Chemistry, was honored with the Advancement of Teaching Award for “his commitment to improve the department by making fundamental and innovative changes in all the courses he has taught.” An associate professor since 2014, Miller teachers upper level and introductory chemistry classes using creative and innovative methods that ensure student learning. 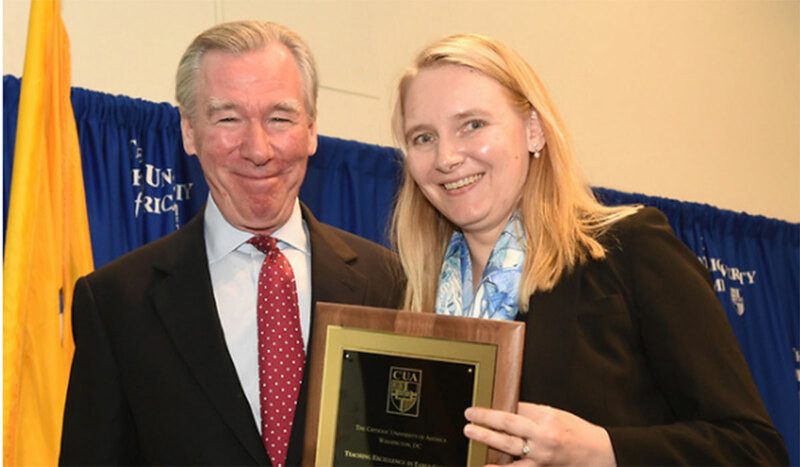 Caroline Sherman, assistant professor in the Department of History, was honored with the Teaching Excellence in Early Career Award for her innovative work in the classroom. 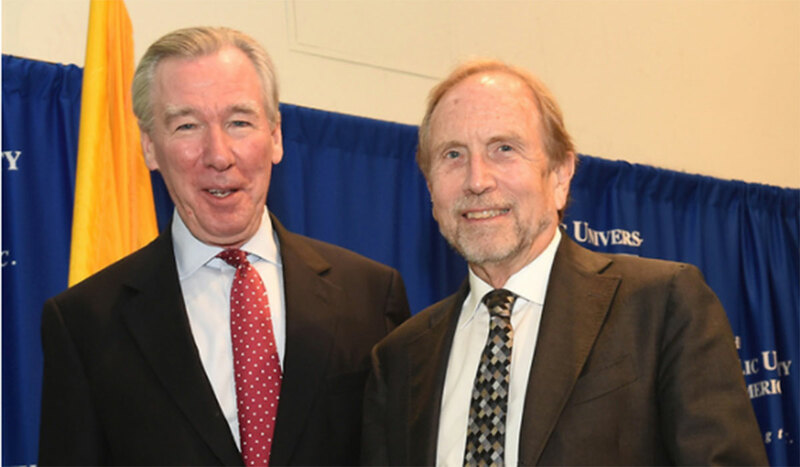 In addition to using innovative and interactive teaching methods, Sherman has also introduced research apprenticeships into the history curriculum, allowing students to work one-on-one with professors. 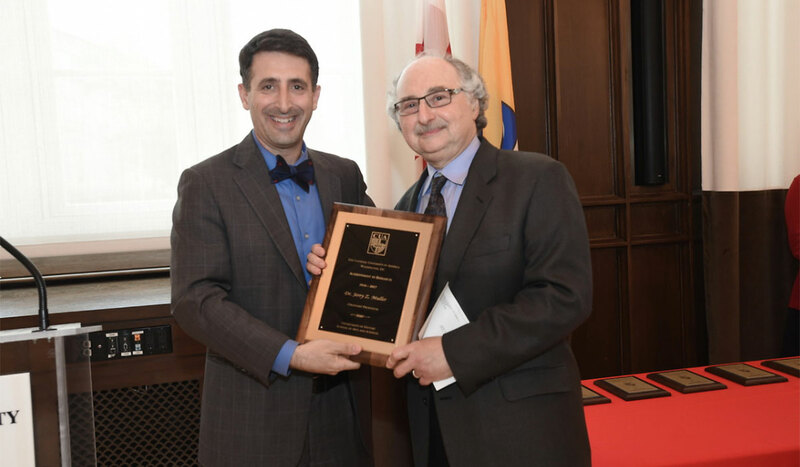 Ivo Kaltchev, professor and head of the Piano Division at the Benjamin T. Rome School of Music, was honored with the Overall Teaching Excellence Award. 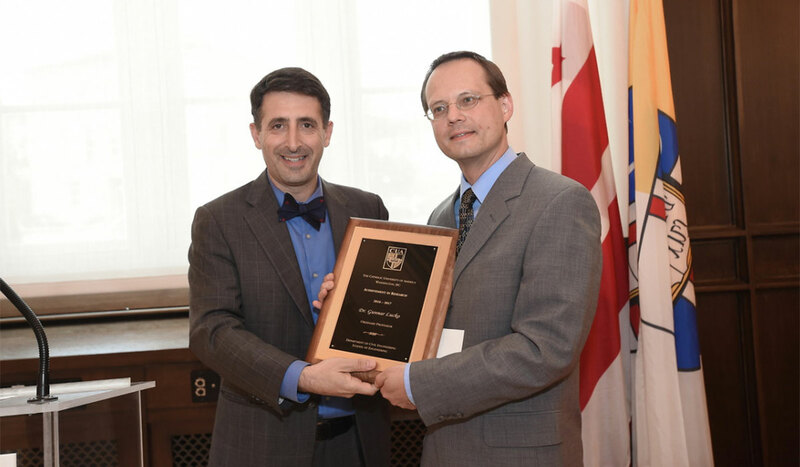 An internationally respected piano pedagogue, Kaltchev has taught a number of students who have gone on to accomplished careers. 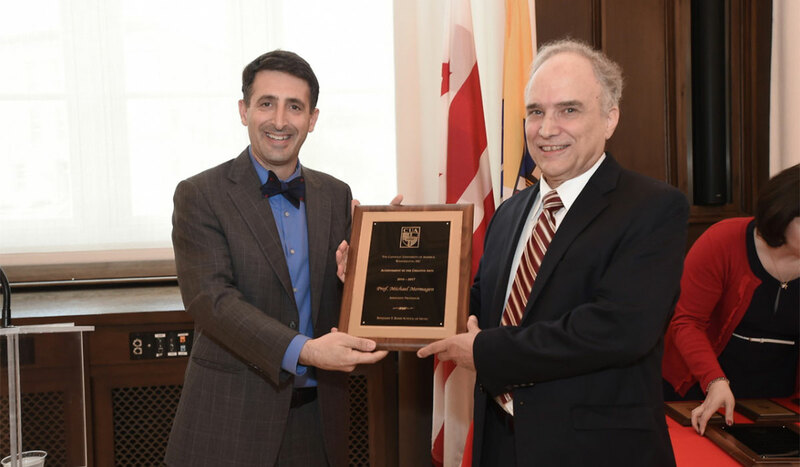 Two years ago, he created and organized a yearlong cycle of performances of all 32 Beethoven Piano Sonatas, which took place all over the Washington, D.C., metropolitan area and features students, faculty, and alumni. 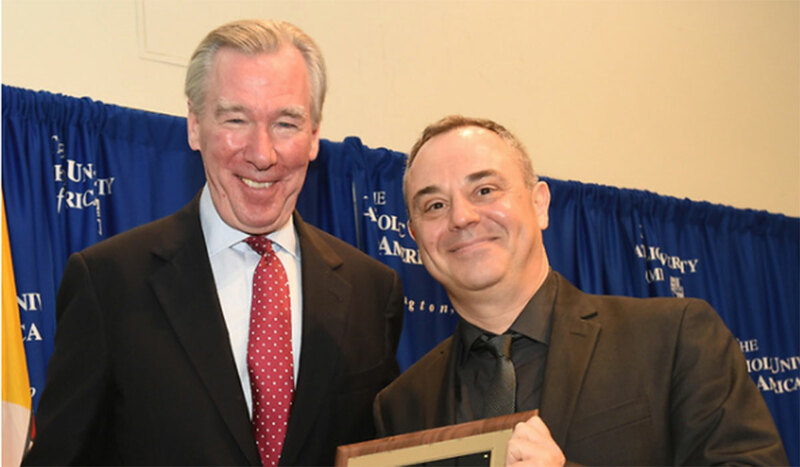 Beyond the classroom, Kaltchev also maintains high artistry in his own piano performances. 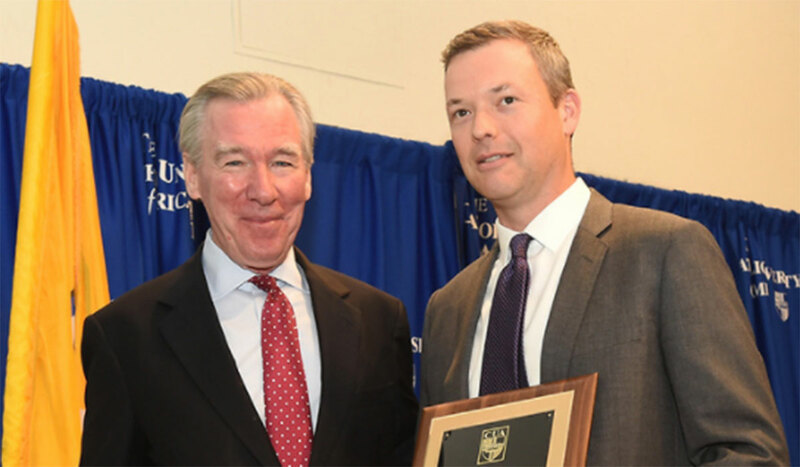 These awards come after six faculty members were honored for their scholarly research during the University’s second annual Research Day on April 20.